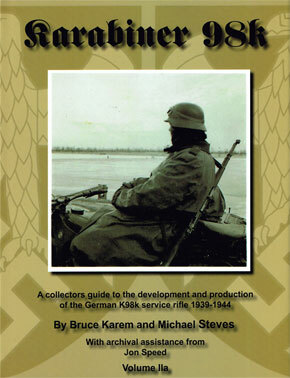 The first two chapters cover the affects of a wartime economy on production of the K98, with chapter 2 covering the changes of simplifications to the K98 system to increase production while using fewer and fewer workers. It covers Mauser Oberndorf with a vast array of documents, many never seen before. Covered in detail are experimental versions(folding stock and paratrooper take down rifles) along with het elusive G.40K, including documents never seen before. The J.P. Sauer chapter covers the Sauer & Sohn K98k production like never before, uncluding serial number studies with detailed breakdowns of the introduction of specific features. The final chapter is a detailed examination of the Mauser Oberndorf sister factory at Mauser-Borsigwalde. Excellent! H/C. 435p. VOL.II A & VOL.II B ARE SOLD ONLY AS A SET!!! Meld je eerst aan om te kunnen bestellen.